Listening to music has become the most common background activity in our lives. We use our MP3 players, phones, and other audio devices to listen to music while walking, running, driving, working, or even sleeping. Music has that lovely ability to make everything we do much easier, but the question is – does the music make us better at what we do? Researchers have proven that music can improve our endurance and performance when running, jogging, working out or doing any physical job, but what kind of influence music has on intellectual activities is much harder question, and the answer is ambiguous. If we observe only studying as a specific intellectual activity, things don’t get much simpler. There are numerous standpoints on what kind of influence different types of music have on studying, whether they help or hinder the process of studying. 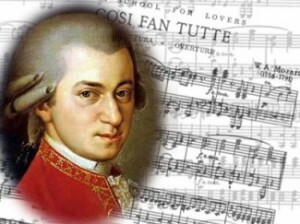 What is Mozart Effect and does it apply to studying? Mozart effect is often wrongly related to studying, and people think that this phrase is used to describe the improvement of someone’s ability to study by listening to music. Unfortunately, this is misinterpretation of an experiment conducted by Rauscher, Shaw, and Ky in 1993. Their hypothesis was that listening to music, specifically to Mozart’s piano sonata, could improve spatial reasoning, and they partially proved this hypothesis. The results showed that listening to this specific melody truly improves spatial reasoning, but only for a short period of time, and that was it. Other people decided to use this as the proof that listening to music could help you with studying, and some people even claimed that listening to Mozart could make you smarter. Of course, none of these claims had any basis in reality, especially because none of them were subjects of the original experiment. That certainly doesn’t mean that music has no effect on your ability to study, but this experiment never intended to prove or disprove that claim. What other studies have to say on this subject? During the last 20 years, there were many studies onthe influence of listening to music on studying. You would think that some definite conclusions have been made, and again, you would be wrong. Researchers have used all kinds of music and compared participants’ results, they also conducted experiments in silence, with music, and with ambient noise, and tried to understand which option is the best. Some scientists wanted to understand whether there is some difference between effects of music on studying math and on studying things that require verbal memorizing. Psychologists also explored the combined influence of music and someone’s personality on learning. Some conclusions were pretty ambiguous or even contradictory, but there were also some interesting findings that could be considered valid. For example, there is definite conclusion that music can help with verbal reasoning while it can be counterproductive with abstract thinking or when you are trying to connect different sets of information. Also,if you are trying to study in some noisy environment, you will be more successful if you listen to music. Even if it’s not that noisy, but you feel uncomfortable or anxious, you will definitely achieve better results if you are listening to music. Some findings also suggest that listening to music while solving math problems could be beneficial, since the students solved problems faster and more accurate. This might be the easiest thing to explain since we use different parts of the brain to solve mathematical, analytical or geometrical problems and to listen to music, so there is no interference. Some studies also analyzed effects of different kinds of music on learning performance. In general, studies show that calming music with slow changes of tempo is more appropriate for studying, while aggressive music with fast and frequent changes of tempo could rather hinder the process of studying. These studies give an advantage to classical and instrumental music over music with lyrics because the words could be distracting and could drag you away from learning. Studies also proved that volume level has aninfluence on studying process. Listening to music at low and moderate volume levels is much better option than listening to really loud music. What kind of music should you listen to while studying? Having in mind all that we’ve mentioned, we will try to pick some music genres that could be more suitable for studying than others.However, you should remember that there is no official or scientific advice on what you should listen to while learning, and since we are all different, what we suggest might not be the right choice for everyone. This is probably everybody’s first guess when asked what kind of music you should listen to while studying,and this isn’t the wrong answer. We mentioned Mozart’s sonata for piano and Mozart effect earlier, and we encourage you to explore the world of classical music and find the melodies that are suitable for your study sessions. Lots of instrumentals and mid-tempo should, according to the studies we mentioned, put you in the right mood for studying. The absence of distracting lyrics and relaxing tones will hopefully make your study sessions easier. Some people prefer blocking out background sounds with white noise or other sounds of nature. They find this method really helpful, so we decided to include it as an option, although it’s not really music. You can try it, and if it helps you concentrate and makes your study session easier, then who cares if it is music or not. What about other music genres? Well, as we said, there is no rule or scientific advice on what kind of music you should listen to while studying, so if you are arock fan, or if you are into rap music, there is nothing we can say to discourage you from listening to your favorite songs while learning. In fact, there is also some justificationfor that. Although these songs might have lots of words (and we already said that words could be distracting), you’ve been listening to these songs many times, and you know them by heart, so the words may not be such a distraction. In this case, the songs are there to put you in the right mood and boost your morale during study sessions. As you may have already assumed, we are not going to give you any definite answer, not because we don’t want to, but because there isn’t one. Many studies imply that there is some influence of music on learning process (and on all cognitive processes), but what kind of influence, and what kind of music, it is still open to debate. The best thing you could do is to try different types of music, and decide what is the best option for your study sessions, and we encourage you to do so.